Nikki Sivils: First Tuesday's with Deana Boston! Hi everyone! Happy May 1st! 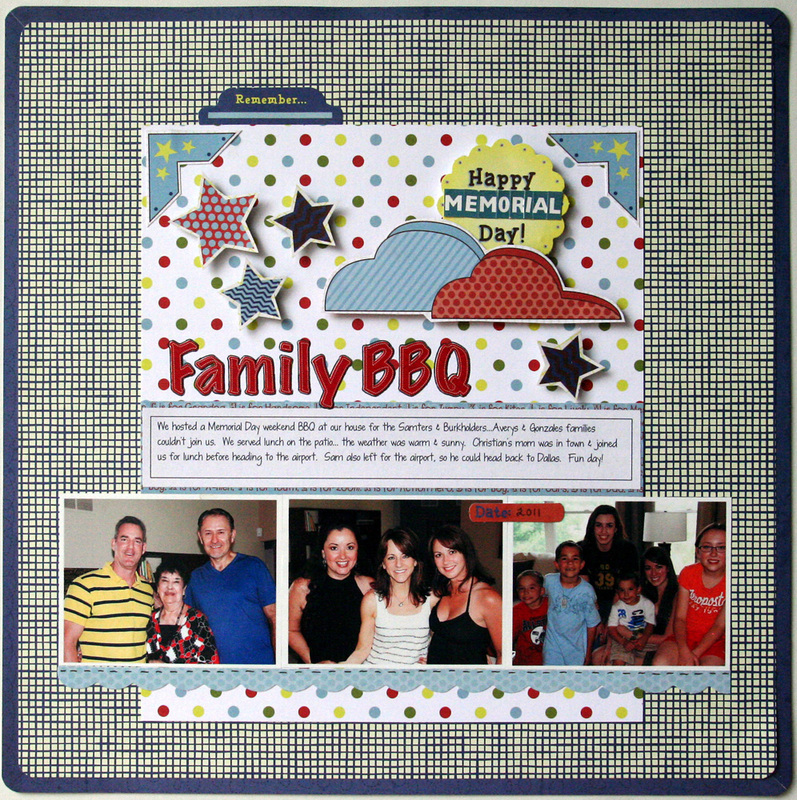 Today Deana is sharing two gorgeous layouts with us! 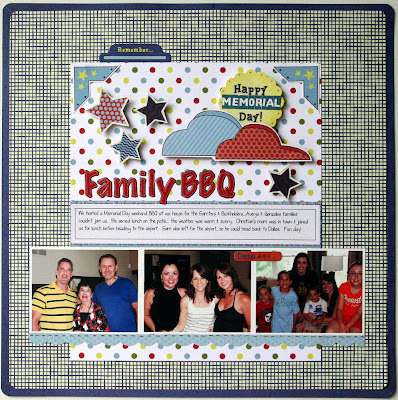 Deana used Noah, Messages, Audrey and Exit Here all on this layout! 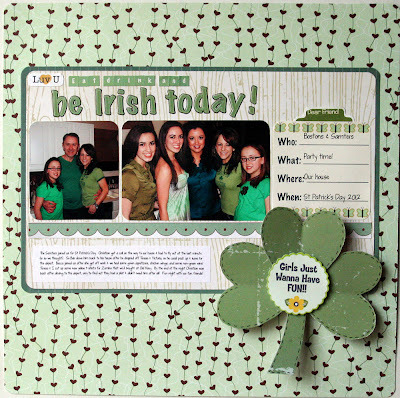 Very cool she mixed all four collections for her Irish themed layout! Thanks so much for stopping by -- all this month our design team members will be sharing their takes on Sketch Support sketches!! Go check them out! Allison's sketches are always gorgeous! As always LOVE your layouts! 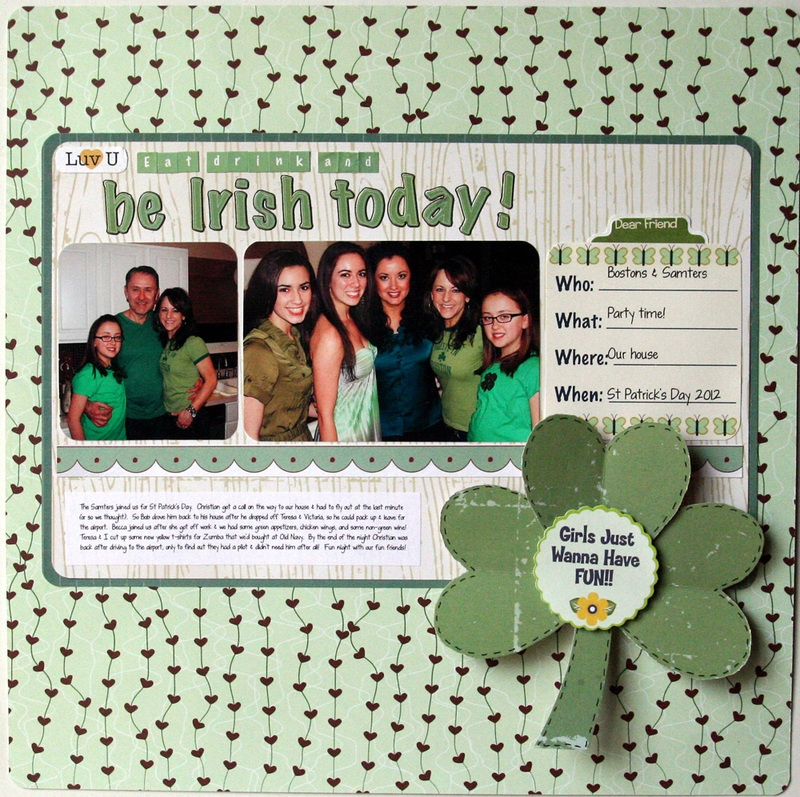 Espeically Love how you made one a St. Patricks Day Theme! TOO COOL! Fun layouts. Thanks for sharing. wow Deana love these! You are so creative! I love your style, Deana :) You consistently tell the stories of your life in such fun ways. I think your pages are terrific! !